Sometimes finding something in a pattern could be tough if it is similar to given pattern. 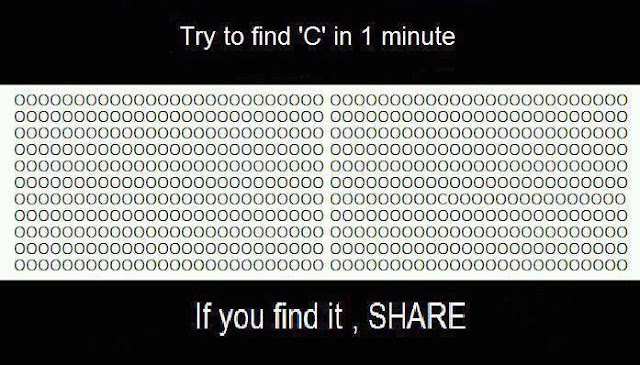 In this simple brain teaser, one has to do similar thing. 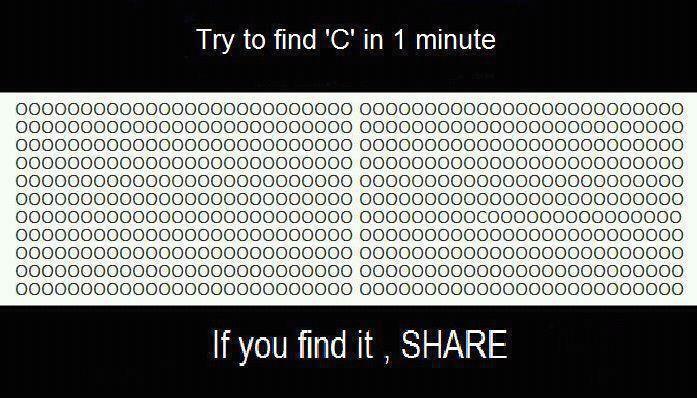 You have to find C as fast as possible in this pattern. Once you are able to find it, do post your timings in the comments and also checkout similar tough brain teaser whose link is given below this puzzle picture. 1. This is called Thatcher Effect. Our eyes could not process the difference between eyes, lips and teeth. Invert the picture and immediately you will see these differences as shown below in the inverted image.